Between 1999 and 2010, accidental overdoses more than doubled to 38,329 in the United States, according to the Centers for Disease Control and Prevention. Those numbers keep increasing and, as a result, overdoses are now the leading cause of accidental death in the U.S., ahead of traffic fatalities and gun homicides. Among the reasons for the dramatic spike is the rising supply of heroin to suburban and rural areas, where it once was rare, and an increase in the use and abuse of narcotic pain medications. Heroin is a processed form of morphine, a natural substance derived from poppy plants. It is one of the most addictive of all controlled substances. Most users inject heroin intravenously because it produces a faster high. However, snorting and smoking the drug are becoming more popular, due in part to a recent rise in the purity of the drug. These are opioid medications that are often prescribed to treat acute or chronic pain, or as a post-surgical recovery aid. Drugs that fall into this category include Codeine, OxyContin, Percocet and Vicodin. When abused, they are often swallowed or injected and mimic the effects of heroin. Taking a large single dose of prescription pain relievers can cause severe respiratory depression that can lead to death. Use of prescription pain relievers with other substances that depress the central nervous system, such as alcohol or barbiturates, increases the risk of life-threatening respiratory depression. The worst long-term effect of heroin and opioid abuse is addiction. Continued use results in a higher tolerance to the drug; users must then rely on increasing amounts of the drug to get high. 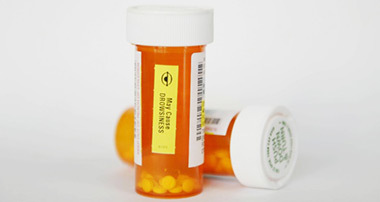 Larger and more frequent doses create physical dependence and increase the chances of overdose. include shallow breathing, clammy skin, convulsions and, potentially, death. Copyright © 2018 ComPsych Corporation. All rights reserved. This information is for educational purposes only.